After El Capitan, my desire for wall climbing diminished. Perhaps it was growing older, or perhaps it was just my surroundings. The Black Canyon was no longer an hour away. Yosemite was no longer in my waking dreams every day. Durango was so close to the desert, and thus the desert became all that mattered to me in climbing. Just like wall climbing, the desert is a fantastic rabbit hole to go down. I started to view the desert in a multitude of ways. As a home. As a canvas to paint my art. My own field of dreams where I could return to a childlike state of being, with the hindsight of an adult. 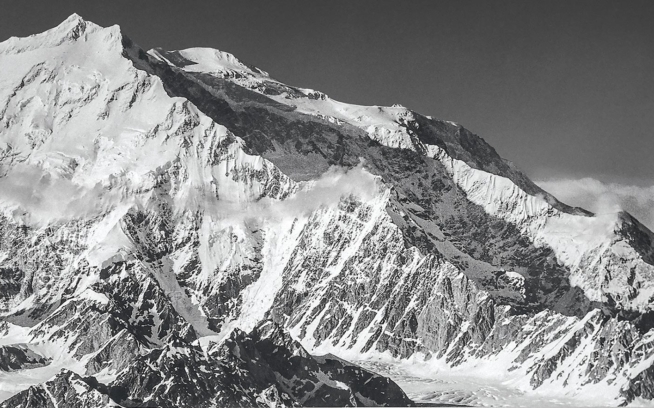 A place where I could progress my vision of what it meant to be an American climber. In southeastern Utah, a battle has been brewing for some time now. 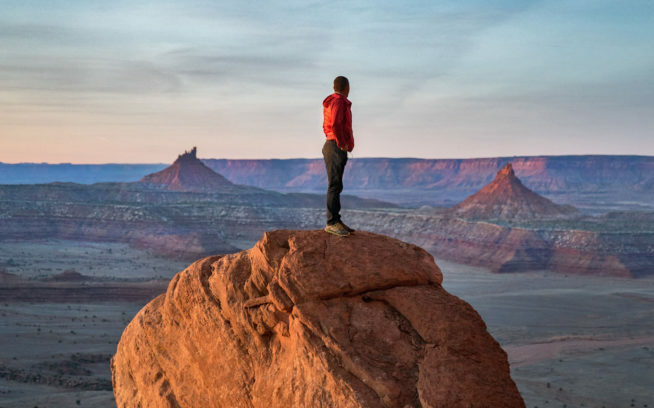 At risk is the preservation of climbing access and other precious resources in Indian Creek, Valley of the Gods, Texas and Arch Canyons, Lockhart Basin, Comb Ridge, and other remote areas collectively known as the Bears Ears region. Please add your name to those who wish to see this unique area preserved. I started to visit Indian Creek in each and every season and learned her moods and her colors. I watched and studied the crowds. Some days I was simply part of that crowd, just another climber lining up at the base of a splitter crack, waiting to test my mettle. I camped with my friends, new and old, in numbers oftentimes large, huddled around a massive fire. The hoards of people, rather the hoards of us, we were (are) predictable. Busy in the primetime of spring and fall, the numbers swelled larger and larger every season. The parking lots, by force of automobile, or by paving from the government, got larger and larger.Other times, like in early summer, you could have this entire place to yourself, or so it seemed. A place is not a place that can be home to a young man unless he has made love in that place. In my younger dirtbag days, the desert would always magnify my loneliness. There were always so many more dudes around than ladies, and that started to change in the climbing world, right around this new decade. And that was okay then, for it is good for a young man to be lonely when he is alone, the true crime is being lonely and being surrounded by so many people, the way a human is lonely in a city. So where I once prayed to the stars for the simple comfort of a woman, ten years later, moving as stars and dreams often do, everything was answered and given. In Super Bowl, where we once had massive epic parties over Thanksgiving, in the summer the land was back to quiet and uncrowded. My new lover and I could walk around naked if we wanted to and would not be noticed. It was so hot that you did perhaps want to be naked, but this is the desert—it’s not always romantic, the reality of bug bites and other venomous creatures usually took away the notion of this place being a romantic paradise. In the summertime, the snakes, scorpions, and spiders outnumber the climbers you’ll see. When I found my stride again, making love in a tent, while the heavens erupted into a magnificent thunderstorm, there was a feeling of belonging, a feeling that I was home. On trips like these, in the so-called off-season, conditions were far from ideal for climbing, so we hiked and explored the land. I realized in my fifteen years climbing there, I’d overlooked so much, or maybe this place just needed that long to feel comfortable with me, and for me to feel comfortable with it. One day while hiking, we stumbled upon massive petroglyphs, twenty feet tall and fifteen feet off the ground. Some looked like deer and elk, others hunters, and some appeared to be beings from another planet. I could hardly wrap my mind around their massive size and how and why the artist created them. Was it the beauty of the desert that drove her or him to create these works of art that outlasted the people living here? Or was it boredom? Or was it something as big as an alien life-form visiting, and they had to share their message? None of these questions were answered. The more we went down the rabbit hole, the more we found. The irony of Indian Creek is that, while certain areas are crowded, there is still a vast landscape of buttresses to explore, and new routes abound. Even when the rabbit hole led to buttresses that weren’t any good for climbing, there was still this sense of adventure that we were visiting places that had hardly ever seen a visit from a human being. With all this newness and openness in the air, the search for new routes began. It started simply enough; we began carrying drills in our packs to fix up old anchors and make them safe for ourselves and the general public; the nature of the sandstone in Indian Creek is delicate, to say the least. Then we would see a line, around a bend, the ridge, just out of plain sight, that appeared as though it had never been climbed. We already had the drill up there, so we’d arm ourselves with it and the necessary tools and do battle until the crack was a climb. This process got addictive, and on every rest day, I’d find myself hiking new cliffs. Most of the time the hikes led to nothing more than a good view. One day, Tim joined me on a hike, and we found a slab that looked like a meteor had struck it, like a basketball sized rock from space crashed right there, leaving a crater in the slab. We shook our heads in amazement. That day, we drove way up a canyon no climber really ever drives up and hiked up a wash no one ever hikes up. After an hour and a half of trudging, sweating, and cursing, we got to the rock where we hoped to find our new dream wall. Tim was as hooked on the experience as I was and never flinched when I suggested these hikes, which usually were just dead ends in the rabbit hole. This buttress we found, that day, was the absolute worst section of rock either of us had laid our eyes upon in the Creek. We hiked alongside it for what seemed like hours, no signs of weaknesses in the rock in the form of cracks, the only way to climb in the Creek. The sun turned the corner onto this west-facing cliff in the afternoon, and we sweated and cursed some more at our lack of luck. But we kept hiking. Then we found something. As a writer, when I’ve interviewed people, it’s like you’re always trying to coax something out of them. I’ve noticed something though, often at the end of an interview, when I put the pen down, and we’re just talking, that’s when they say the most profound, articulate things. Like, for my lack of trying, but just sitting there listening, that’s when the magic happens, and on that day, when Tim and I gave up, we found our holy grail. We turned the corner, baking in the sun, dehydrated, feeling we were on a quest with no ending, cotton mouthed and spaced out, and came across a perfect splitter crack that looked like it arched leftward to the heavens for a couple hundred feet. Then we found a cave, and there were many cracks in it. Most importantly we didn’t see any evidence of human activity—this was a cliff that the birds still owned. We walked down the wall, and everything was there that a good Indian Creek wall needs to be classic: good hangouts, cracks right next to one another, and a killer view. Then we found another cave. It was trippy. Of all the walls in Indian Creek, only one has a route in a cave, the aptly name Cave Route on the Battle of the Bulge buttress. For us, it was like we’d discovered gold. Climber’s gold. Both of the caves we found were bigger than the one at Battle of the Bulge. This second one we came across refracted the craziest light, a purple hue with an aura that it was neither day nor night; instead of dark and intimidating, this little cave was welcoming. Once we stepped out of the cave, we were reminded of our surroundings again. The view was a new one for us at the Creek—to the southwest, the southern edge of Canyonlands unfolded, a tight maze of canyons, white-capped sandstone fins, needles, and mini towers. Abbey country. Then there were the ever-proud Six Shooter towers, the South Six Shooter where we run to every Thanksgiving, short and stout, the most popular and easiest tower climb in this corridor. 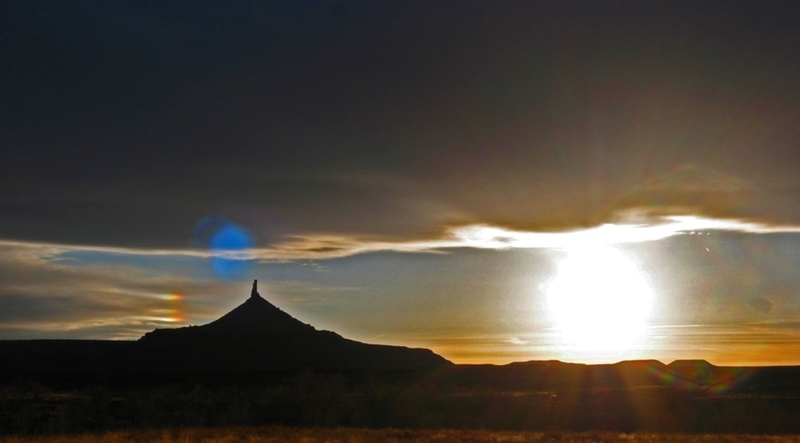 Then the North Six Shooter, standing taller, prouder, like the older brother, protecting the region, a monument to the absurd, acquired beauty of this desert, and there was much in between, with a blue sky overhead. The discovery had been made, but there would be little instant gratification. We began an hour-and-half-long stumble back, down loose gullies, through chinle layers that feel like you’re walking on ball bearings; a busted ankle out here would mean a long involved rescue. We hiked and hiked and lost our excitement for our discovery because we were fatigued, and then we got lost and couldn’t find the car, but, just as the sun was going down, we realized we’d overshot it, and Tim’s old Toyota truck appeared out of nowhere. We hopped in, I cracked a beer, Tim a soda, and we toasted to more days out here, on the edge of the Indian Creek corridor. 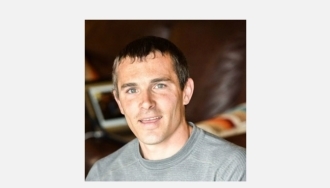 This story first appeared in chapter 34 of American Climber by Luke Mehall. Paperback and e-book editions are available now at Amazon.com.